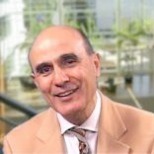 Founder and Chairman of the European Negotiation Centre, Michel Ghazal acts as a consultant in conflict management using negotiation and mediation. He introduced, developed and adapted for the French market the Strategy of Mutual Gains, a method of negotiation created by R. Fisher and W. Ury. His conferences and seminars have been attended by thousands of managers and professional negotiators in France and throughout Europe. He has helped several boards of directors to draw up negotiation strategies in their hierarchical, business and industrial relations. He acts as a mediator in merger talks between companies as well as in commercial and industrial disputes.